As you may already know FeelUnique Beauty box is my favourite.This months box wasn't very exciting for some people, but I still like it has the products that I'm more into (I'm not fan of having make-up items in my boxes, I prefer to pick up make-up pieces by myslef). I can't wait to test out everything. I really like the Lierac cream even though it's anti-ageing, it's smells amazing! It's doesn't make my skin looks really oily what I'm really happy about. I might even buy full size when I will be done with this sample, but first I will test this product a little bit longer. Dead Sea Magik Salt Brushing sounds good. 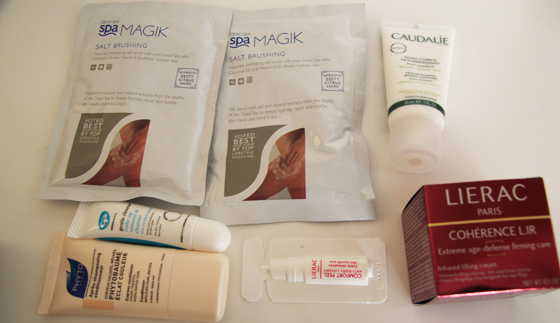 Can't wait to try it out, I already received Dead Sea Magik Salt in Septembers GlossyBox and I still haven't used it. Hopefully I will have good experience with this too. I'm actually running out of hair conditioners so I'm really looking forward to try out Phyto Conditioner. I'm obsessed with conditioners as I like to take care of my hair. 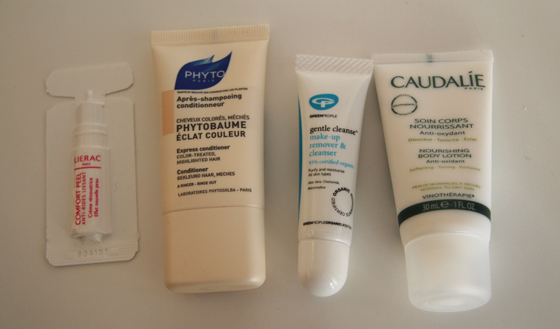 I own so many face cleansers but I will still like to try more, can't wait to test this Green People Gentle Cleanser. Overall the box has interesting content this months. that body scrub is very intense! good for a deep scrub! hi!!! !really nice blog!follow us if u like our blog and we will follow you too! 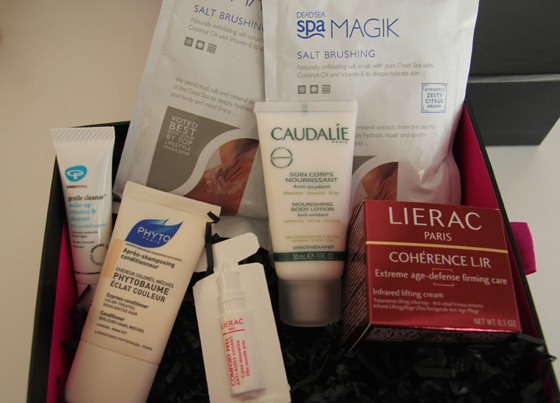 Why are beauty boxes out of the states so amazing!